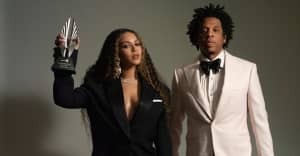 “I just played it...in order for this to work it can’t be fake — not one ounce,” JAY says about playing the song for Beyoncé. Following his "Footnotes for 'The Story of O.J.'" video, in which Van Jones discussed racism in the public school system, JAY-Z has shared a new "Footnotes" episode for "4:44." To give context the Brooklyn rapper's confessional track, the episode features interviews with men about their relationships. At one point, JAY-Z assembles a group that includes Kendrick Lamar, Chris Rock, Chris Paul, and others to have a dialogue. "I just played it...in order for this to work it can't be fake — not one ounce," JAY says about playing the song for Beyoncé. The clip also features standalone interviews with Mahershala Ali, Common, Michael B. Jordan, Aziz Ansari, Jesse Williams, and more. Watch a preview of "Footnotes for '4:44'" below and watch the full episode above via TIDAL.